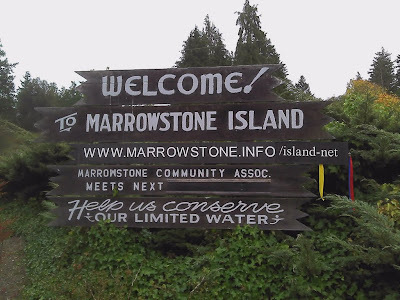 Welcome to the "Marrowstone Island Information" website. Click on the links in the left sidebar to read information about our Island. If you see a ">" to the left of links in the left sidebar, click it to reveal sub-pages. Visitors and (potential) residents: Explore the "Hellow Pages" for Island resident owned and operated organizations, businesses and services. Prospective and new Island residents: Please join the private "Island Net" to make these kinds of postings. The "Search this site" function in the upper right corner of the banner will return the "page(s)" where the search item appears. If one of the pages you view is large like the "Hellow Pages", you can simultaneously click two keys on your keyboard to invoke a function to search that page. On a PC use "Ctrl + F"; on a Mac use "Cmd + F". The URL for this page is https://sites.google.com/site/marrowstoneislandinformation/home. This page can also be accessed with a shorter version - www.marrowstone.info and even a shorter one without the "www." - marrowstone.info typed into your browser.